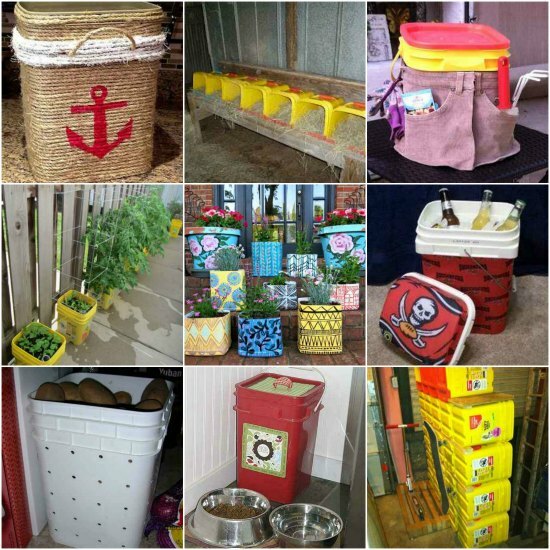 Do you have a lot of plastic kitty litter buckets that you can’t throw away? 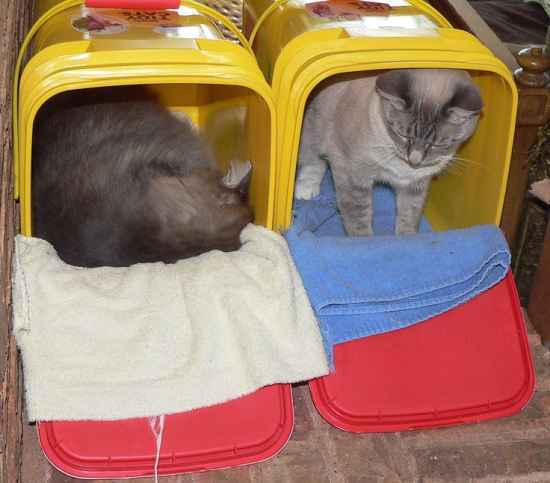 You may be surprised to learn there are many creative and practical ways to repurpose kitty litter containers at home. 1. 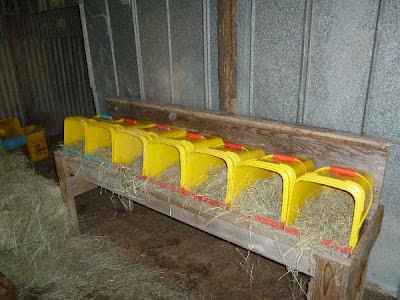 Kitty litter containers are perfect to use as chicken nesting boxes. 2. 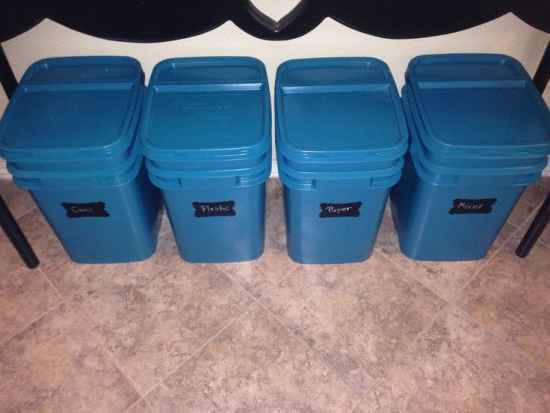 Use kitty litter boxes for DIY storage containers. 3. 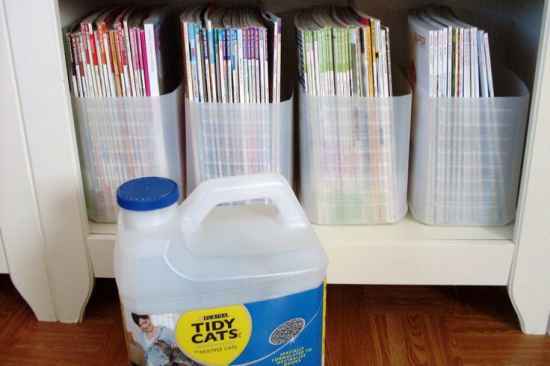 Store old newspapers and magazines in kitty litter containers. 4. 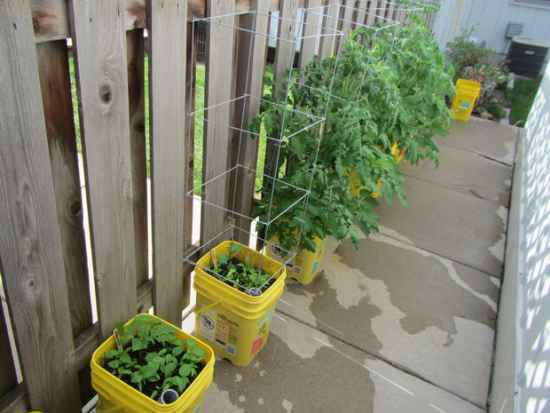 Create a self-watering garden on your deck or patio. 5. 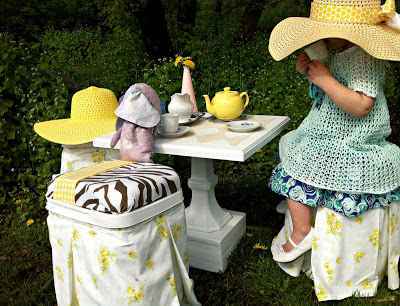 Make a seat and table for kids. 6. 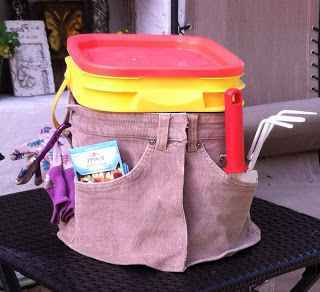 Create a tote to use for gardening tools and supplies. 7. 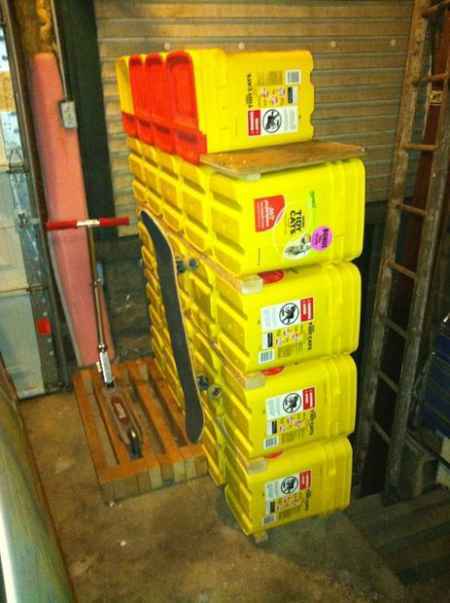 Make a DIY storage rack using plastic kitty litter containers. 8. 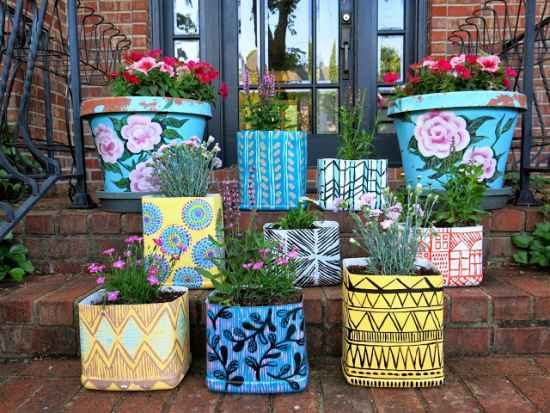 Make some pretty custom planters to use in your garden. 9. 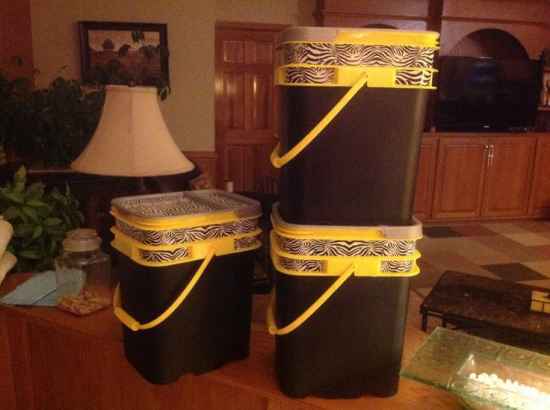 Decorate kitty litter containers to use for storing kids toys. 10. 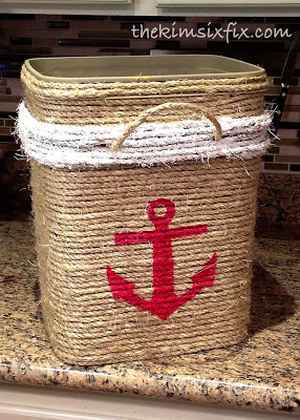 Make a decorative storage tote from a kitty litter container. 11. 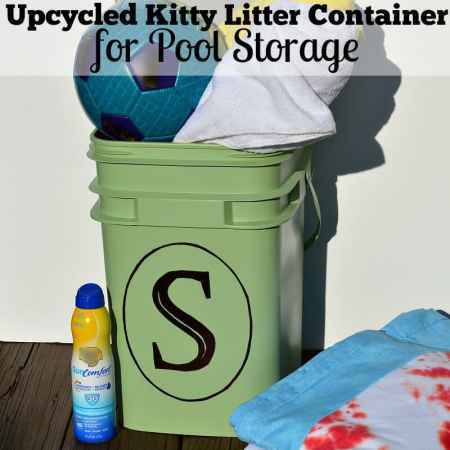 Use kitty liter containers for pool storage. 12. 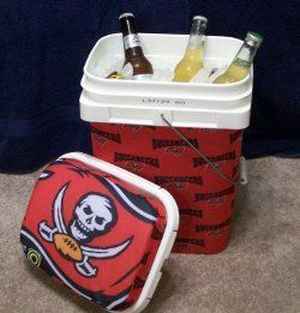 Make a beverage cooler for a party. 13. 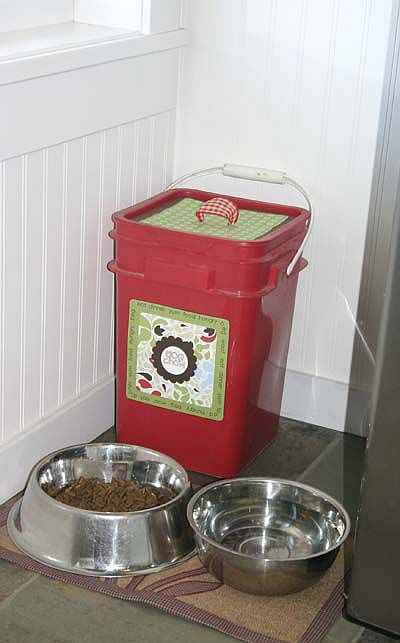 Keep dog food handy in kitty litter containers. 14. 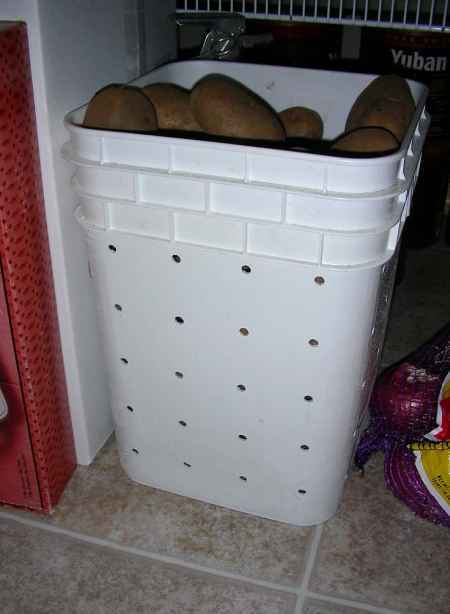 Convert a kitty litter container into a storage bin for potatoes. 15. Make a custom cat bed or condo. 16. 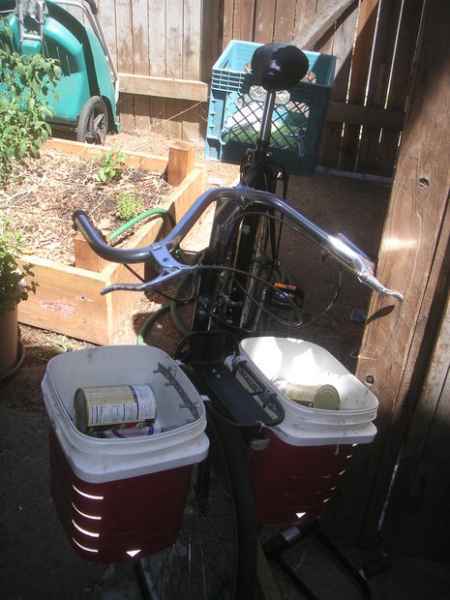 Make a set of saddle bags for a bike. 17. 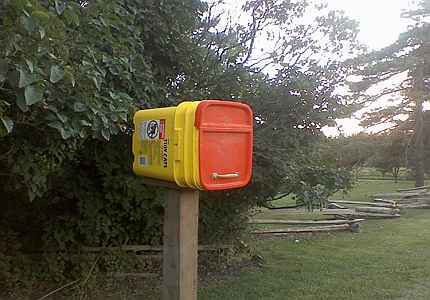 A kitty litter bucket can be repurposed as a mailbox. 18. 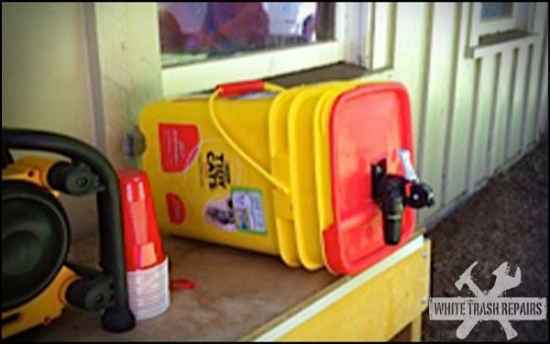 A small cooler is easy to make using a kitty litter container.